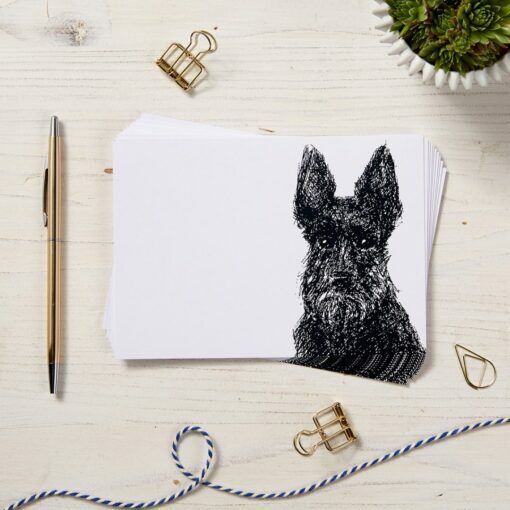 Our loyal scottie dog note cards are extremely handy for leaving yourself little reminders. They are great for writing your to-do list at work at the end of the day, so that when you come in the following morning, you have a clear head and plan of action! 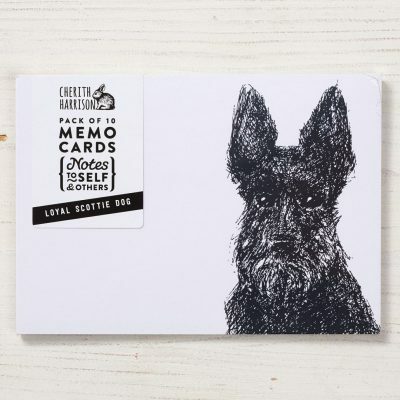 Postcard in size, each pack contains 10 memo cards and comes printed with a detailed illustration of a (slightly bemused!) Scottish Terrier. 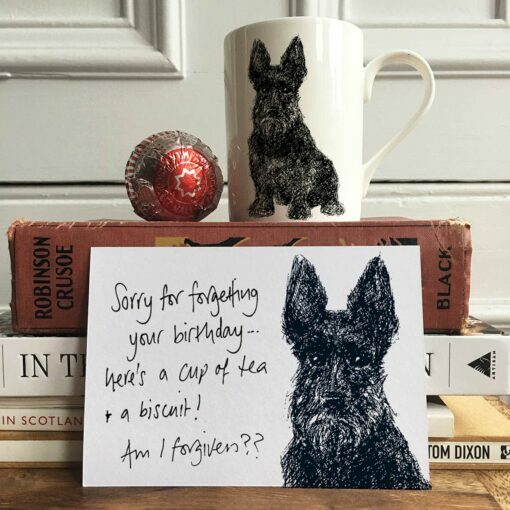 Perfect for scottie dog lovers who like a bit of organisation in their lives!